There’s a saying that no one knows what your life is like until he/she has walked a mile in your shoes. With that said, I decided to share my own personal journey through the darkness of memory loss, brain disease and mental illness with my viewers. Currently, I am care giver to two adult family members, my mother and also my maternal grandmother. I was raised as an only child, growing up with a schizophrenic mother, and a father who suffered from post traumatic stress disorder (PTSD) resulting from his experiences in the Vietnam War. I have an older half sister from my father’s first marriage who grew up in a different household. I’m also the only grandchild of Polish immigrants. Although my mother sought treatment in her thirties for depression, she was misdiagnosed. At age 40, she suffered a psychotic break and was first hospitalized. I was in high school. Frightened and ashamed, I did my best to hide her illness from my friends. While in college, I received a call from my mother’s job stating that she had been sent to the emergency room. What I recall most from that psychiatric hospitalization was my grandfather saying, “I hope I die before I see her go into the hospital again.” His wish came true. My grandfather passed away from heart disease in the fall of 1992. I share this point in order for my readers to realize the extreme pain and devastation these illnesses bring not only to an individual, but to the entire family. 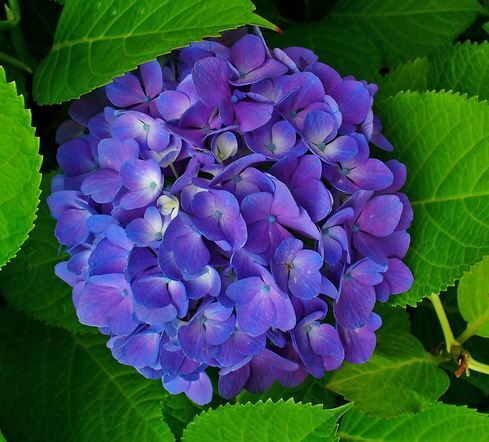 In 2007, my mother had several hospitalizations which consumed six months of her life out of that year. I knew that something needed to be done to keep her on her medication while she was at home, so I sought a Community Roger’s Order and Medical Guardianship of her. That same year, my grandmother, age 83, had a fall which required her to have hand surgery. This all took place during November while my mother had a long term hospitalization at Providence Behavioral Hospital. The orthopedic surgeon and I decided it would be best if my grandmother spent one night in the hospital. I called her that night in her hospital room to say good night and wish her well. The next morning, to my surprise, she was not able to return home. When I arrived at Holyoke Medical Center, she had gone into a complete state of psychosis and delirium. It took the doctors one week to diagnose her with vascular dementia and I was contacted by a social worker to find nursing home placement for her. All the while, my mother was still on the psychiatric unit at Providence. The best word to describe my emotion and state of mind during this time is bereft. 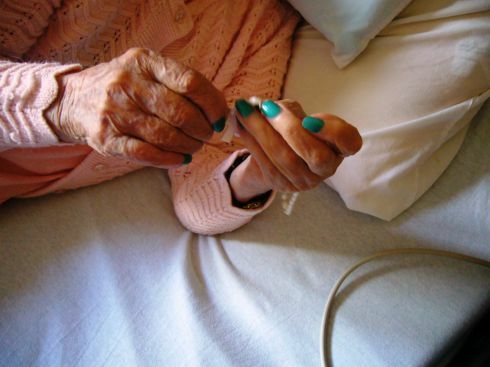 My grandmother had been the rock of the family, my caregiver. The one person in the world whom I knew loved me unconditionally. Would she ever come out of this demented state? Would she be placed in a nursing home for the remainder of her life? Would she ever again be the grandmother who knew and loved me so well? I cried every day for over a month. During my time as a reporter, I have covered some difficult, sad topics. I never have cried on a shoot, or during an interview, but I have cried while watching some of the video afterwards. I believe one of my most wonderful gifts as a reporter is my ability to empathize. Recently, while completing my story on Alzheimer’s, Dementia and Faith, which aired on June 28, 2014, I cried while watching Donald. Donald, who is probably in his 80’s, is so grief stricken by his wife’s illness and loss of his life partner, that he confesses on camera, there are times when he wishes he were dead. I too, have suffered a tremendous loss similar to his. To watch the pieces of who your loved one used to be slowly disappear day after day is heart-wrenching and devastating. It’s a grieving process that seems to have no end. The only end is death, which only starts another grieving process. Donald’s wife is a resident of Mt. St. Vincent’s Continuing Care Facility. Due to her advanced stage of dementia, she believes she is in her early 20’s, prior to when she had met Donald. Because she doesn’t recall getting married, she doesn’t believe that Donald is her husband. Nearly 60 years of her life have been completely erased from her memory. Charlie, also featured in my story, is age 85 and has an apartment in the independent living unit at Loomis Lakeside at Reeds Landing in Springfield. Because this facility allows its residents to add on services of, “assisted living,” and also has a unit of, “skilled nursing,” Charlie was able to stay in the same building as his wife Dottie when she developed dementia. He felt that this living arrangement made a world of difference in their lives as the disease progressed and changes occurred. “I could walk over and see her without ever needing to go outside,” said Charlie. Charlie shared that watching her physical and mental decline was difficult, but that she did remain active and always kept her spirits up. Dottie was a skier, camper, golfer and avid tennis player. She also was head of merchandise and did all window dressing and displays for their family run business, Johnson’s bookstore. While living on the skilled nursing unit, Dottie’s creativity was able to shine through as she decorated for the different seasons and holidays. In 2006, Dottie passed away from physical complications. Her dementia never progressed into an advanced state. Dementia effects people from all walks of life. Who it effects has little to do with race, ethnicity, gender, sexual identity, socioeconomic class nor level of education. Doreatha Allen, also in her mid-eighties, is an African American woman suffering from mid stage dementia, who is still able to remain living in her home, thanks to her daughter. “One of the things we had discussed was that she wanted to remain in her home. So, I’m trying to honor that and am going to honor that as long as I can,” said Joy Danita Allen, Doreatha’s daughter and caregiver. Joy Danita Allen is a Lady of St. Peter Claver at St. Michael’s Cathedral Parish. 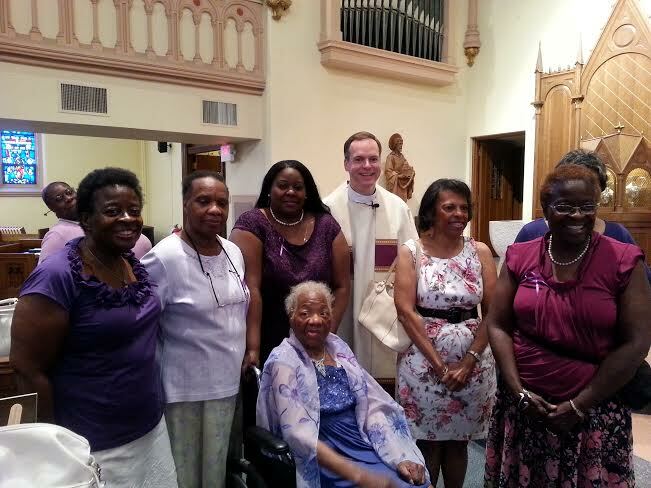 In July, Joy, along with the Ladies’ Auxilary, sponsored and organized the first Purple Mass and attended with her 84 year old mother, Doretha, also a member of the Ladies Auxiliary. 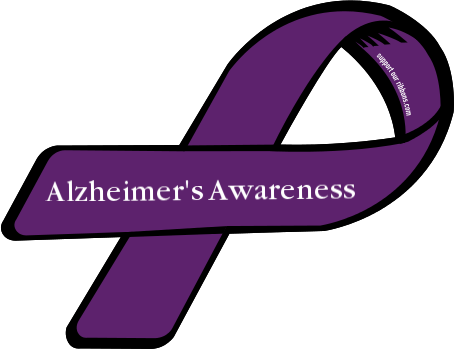 The Purple Mass was in support and recognition of those suffering from Alzheimer’s disease and other forms of dementia. For many, entering a skilled nursing facility (nursing home) is not a choice, but a necessity for the health and safety of an individual. Your loved one may say, “Don’t ever put me into a nursing home.” Keep in mind that people don’t put other people into nursing homes, circumstances do. For five years after her dementia diagnosis, my grandmother was able to remain in her apartment in elderly housing with the aid of outside services and an adult day health program. She fought tooth and nail each time a service was added, but eventually came around. 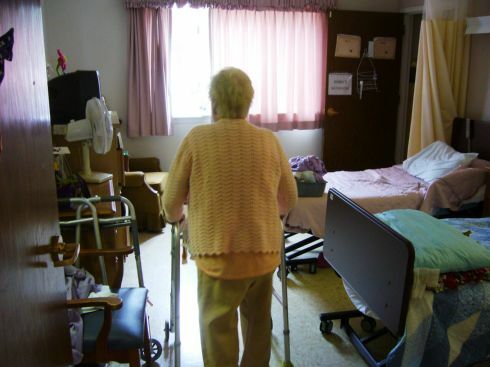 She had three short term rehabilitation stays in local skilled nursing facilities. After each stay, my uncle and I would switch nights and sleep over her house with her until she was able to spend the night alone. I did her grocery shopping, picked up her medication, took her to all doctor appointments, came to her apartment when she didn’t let the aid in, or refused to go to her day program. I did it all for love. I, as Anna’s health care proxy, had to decide which facility she would now live in. I used the 90 days I had to make a decision. Her son and I felt it best to keep her at the Geriatric Authority of Holyoke. I then had these 90 days to clear out her apartment in which she had lived for over 25 years. It was 90 days until she was considered a resident and the insurance started paying for long term care. For one month, I did nothing but water the plants and pick up the mail. Then, I began packing and sorting. Some close friends of mine would come and help me pack and load up the car with boxes. Often times, when they left and I was alone, I would cry. Moving day came in December of 2012. My uncle, father, and boyfriend all helped. Her whole life’s belongings had been in that little, two room apartment. If that wasn’t depressing enough, now it had to be downsized to only half a room. Since that time, Anna had hemorrhaging and was diagnosed with stage 2 endometrial cancer. I had to decide on emergency surgery. I then had to decide on a treatment plan. This heavy burden caused me to tremble with fear and hide in bed, weeping, and wondering, “Did I do the right thing?” Soon I learned to trust my faith, because faith and fear can not exist together. Her life is not in my hands. It is in the hands of God. Only then did I feel this heavy burden lighten. My grandmother, Anna, found a new home when the Geriatric Authority closed this past spring. She also survived surgery and was able to complete 5 rounds of radiation. 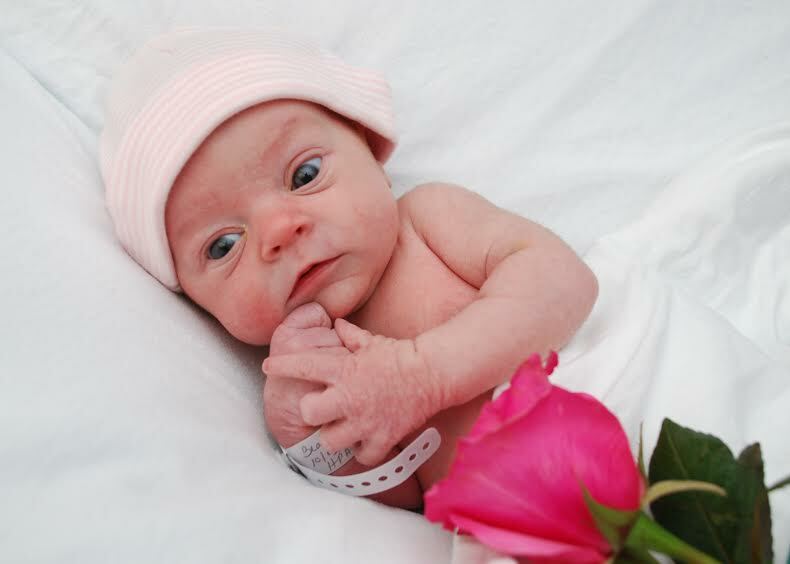 Perhaps, the greatest blessing of all was the birth of my daughter in October 2013. Viola Anna has brought incredible joy and hope to my whole family. She has had a miraculous influence on both Anna and my mother Irene in regards to their dementia, for they are very present and active when she is around. What I’ve learned from this journey is that God truly does work in mysterious ways, and that prayers never go unanswered. 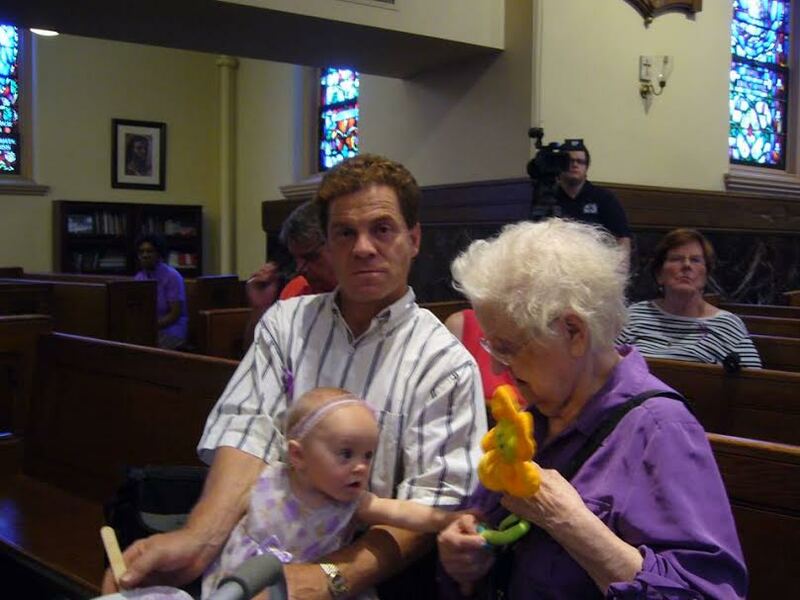 To read Julie’s story on the Purple Mass and Alzheimer’s for iobserve or watch her reporting for Real to Reel click on the links below. We have good friends that we’ll call Ted and Alice. They have been our friends for 40 years. Ted’s dad passed away recently. When we went to visit, our conversation turned to our long friendship. We recalled the times Ted and Alice supported us through our son’s illness and how we were with them when their oldest child became ill. We recalled the times we were there for each other when each of our parents passed away. And we recalled many fun times over the years too! As we drove home from our visit, it dawned on us that we had been “journeying” with Ted and Alice all these 40 years! We have learned so much from their faith in action, as a couple. They help us grow and be the best couple we can be just by their love for us. The more we thought about it, we realized that our lives are all about journeying with others. From the time we are born we journey to adulthood with our families, friends, schoolmates and others. So many people along the way have taught us, healed us, loved us. Some of the journeys have been difficult or painful. Each journey has an influence on the persons we are today, as well as the persons we will become. 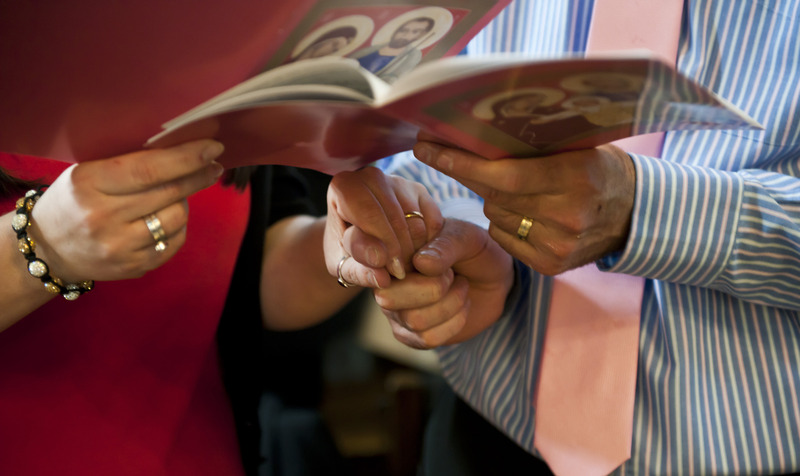 God gave us the Church – Mass as public worship – to journey with others in our faith. Not only that, He promised to be there Himself whenever two or more are gathered in His name. Whenever we share our thoughts and listen to each other; whenever we work with others toward a common goal; whenever we even just sit nearby in a hospital room — we are journeying with others. Each encounter is another step in the journey. Who has enriched our lives as a couple/priest? How do I feel about that? Our journey with ______has been difficult for me. How do I feel sharing this with you? Our journey with ______brings me joy. Why? 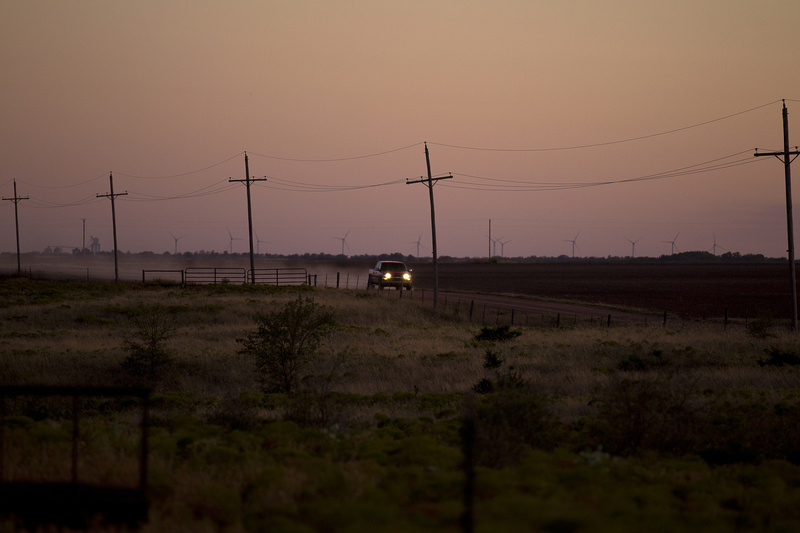 I shy away from journeying with _____. How do I feel about my answer? I would like to journey with _____. How do I feel sharing this with you? The Supreme Court decision on the Hobby Lobby and Conestoga Wood Specialties cases rests on an important part of the American experience: the defense of religious freedom. The Green family owners of Hobby Lobby and the Hahn family owners of Conestoga Wood say their pro-life beliefs permeate their entire lives. The result: They run companies that are generous with life-giving benefits when it comes to health insurance. They also find abhorrent the idea that the government would make them finance through health insurance life-taking activities, such as drugs and procedures that can end human life. Fighting for freedom of religious belief and practice is fundamental to being an American. The decision coming down days before the nation’s annual Fourth of July celebration, and during the bishops’ third Fortnight for Freedom, speaks loudly of the freedoms on which our nation was formed. People can and do exercise religious freedom in their everyday and business lives. 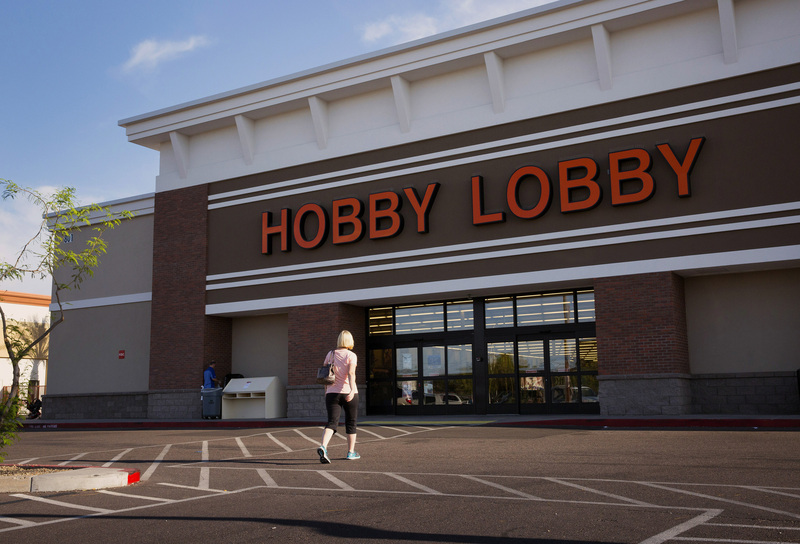 Some, such as Hobby Lobby, reflect their religious principles in how they run a family business and the insurance plans they provide for employees. Some companies refuse to open on Sunday, the Lord’s Day. Some run a kosher kitchen and you can buy your pork elsewhere. In the United States, all have a right to let religious values influence their business decisions. Alas, the U.S. Department of Health and Human Services seems to have but one goal: promotion of birth control and abortion. HHS’s unrelenting drive to force its idea of women’s health care on everyone is breathtaking and heavy-handed. For those who will not comply with the HHS mandate to provide employees and their dependents contraceptives, sterilization and life-terminating drugs and devices, the fine is $100 a day per employee, that is, $36,500 a year per employee. Indeed, the government penalizes employers who can’t comply with the mandate more than those who offer no health care at all, whose payment is $2000 a year per employee. For HHS, apparently you’re better off with no employer health plan at all than with a plan sans contraceptives and abortion-inducing drugs. The Court decision reminds us that government must meet a high bar to infringe on religious freedom, and people of all creeds are watching. Because the HHS mandate still applies to religious ministries that serve people – think schools, food pantries, shelters, and other social service operations – the mandate threatens faith-based charities with steep fines for noncompliance. It can easily threaten the very ability of those ministries to serve the poor, the sick and vulnerable. Charities won’t last long paying government fines of $36,500 a year per employee. 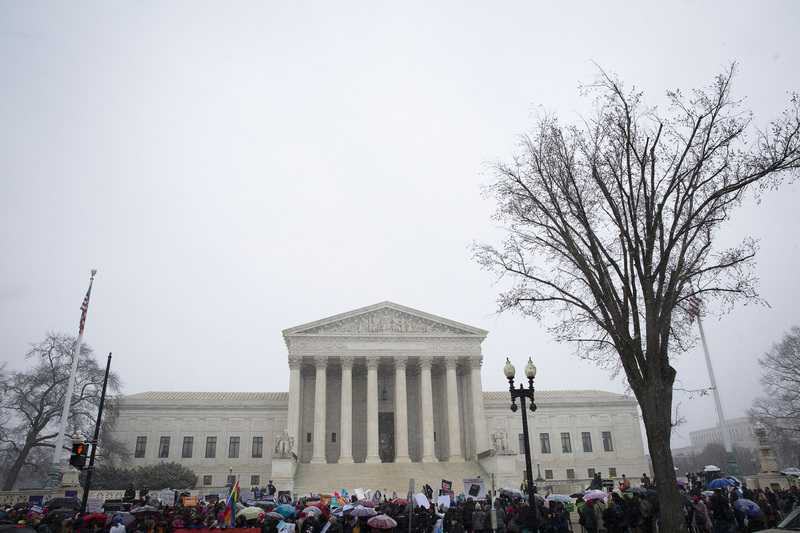 The recent decision refers to an “accommodation” proposed by the Obama Administration for non-profits which many, including the Little Sisters of the Poor, find intrusive into their religious freedom. These groups have filed suit because the government’s suggested accommodation would force religious non-profits to certify and legally authorize someone else to provide objectionable services in their name. The court did not decide these cases, which will likely face it in its new term, but has helpfully said that it is not the government’s job to second-guess how religious groups view their religious obligations. The government also says it acknowledges religions by basically exempting houses of worship from the HHS mandate. That reduces freedom of religion to freedom of worship, by affording protection to worship in the sanctuary but not to service to the needy. This violates both a longstanding understanding of religious freedom and the Catholic tradition. Helping people is part of the essence of the Catholic Church. The story of the Good Samaritan, who helped the stranger in need, tells us that serving your neighbor is integral to Christianity. When HHS decided what is and is not “religion” deserving religious freedom protection, it overstepped its bounds. Go to a University of Notre Dame football game and hear the announcements for Mass times for the students afterwards. Go to a Little Sisters of the Poor home for the elderly and watch the nuns tend to patients, comforted by a crucifix on the wall. There’s something different in the air. It stems from religious belief, and it’s Catholicism imbuing everyday life. Why would anyone want our society flattened out into one that does not welcome this as part of our American diversity? 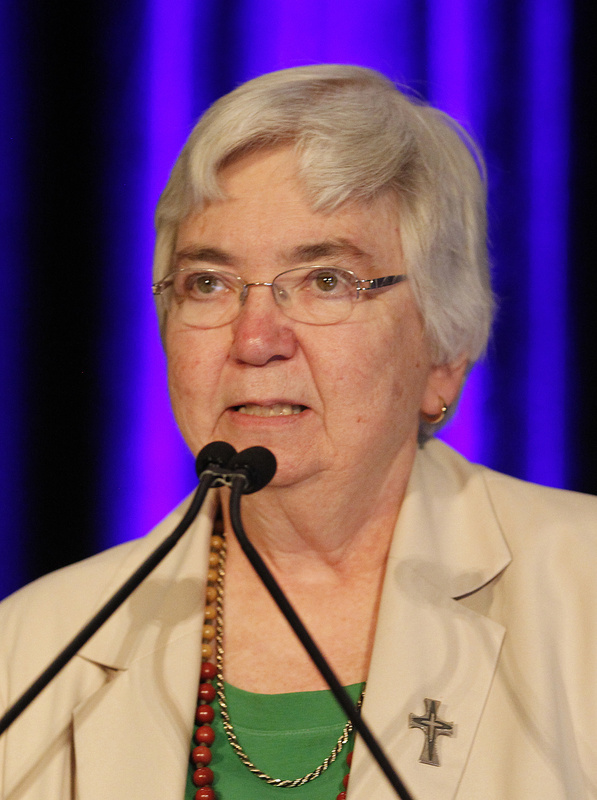 Sister Mary Ann Walsh is director of media relations for the United States Conference of Catholic Bishops. She is a member of the Sisters of Mercy of the Americas, Northeast Community. She is an award-winning writer and has been published in several periodicals including The Washington Post, USA Today, America, and Editor & Publisher and is editor of three books: Pope John Paul II: A Light for the World, From John Paul II to Benedict XVI: An Inside Look at the End of an Era, the Beginning of a New One and the Future of the Church, and Benedict XVI: Essays and Reflections on His Papacy. 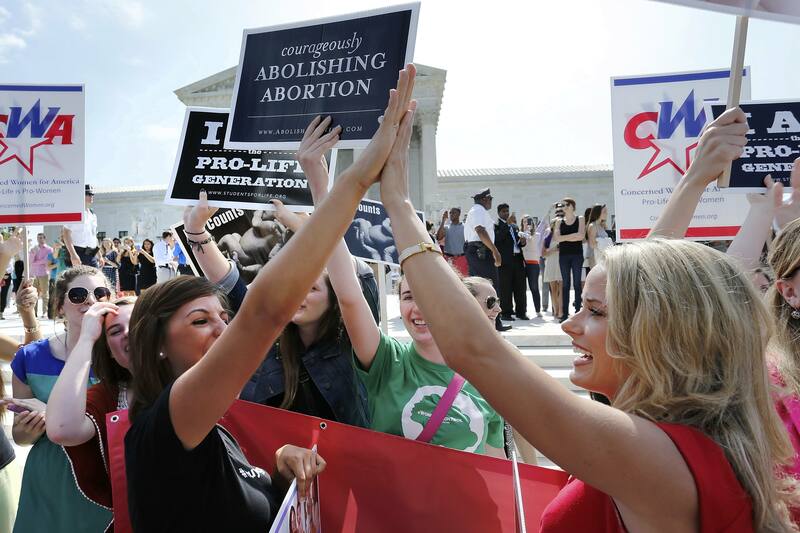 Photos courtesy of Catholic News Service.